Because we’re aware that sampling the local eats is one of the best parts of a road trip, we’ve cut out all that extra stuff and put together one delicious highlight reel -- and you don’t even have to leave LA. Be sure to get tickets to our Pop-Up Culinary Road Trip for 4,234mi worth of the most epic eats from the US’ most impressive food cities. Not only will there be snacks (Route 11 potato chips, Nourish Snacks' trail mixes) and drinks (Spindrift Seltzer, Boxed Water Is Better, Route 66 Root Beer) but also the classic specialties of some of America's most prominent cities. We've listed all the heavy hitters you'll 'drive-by' on this Culinary Road Trip, like Gino’s Deep Dish pizza of Chicago, Portland’s Stumptown Coffee, New York’s Black Seed Bagels, and even more below. Don’t miss it. 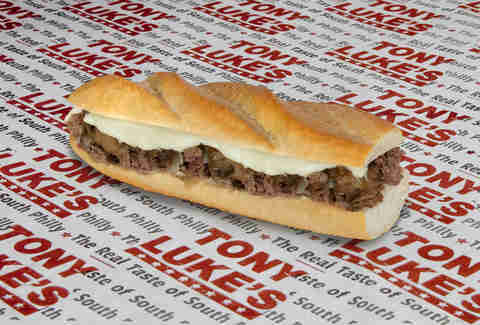 Tony Luke didn’t invent the Philly Cheesesteak, but is anyone talking about the guy who did? Nah. Tony Luke’s is a family-owned joint that first opened in South Philly in the early ‘90s and today has expanded to locations in Jersey, Delaware, Florida, and even The island Kingdom of Bahrain. 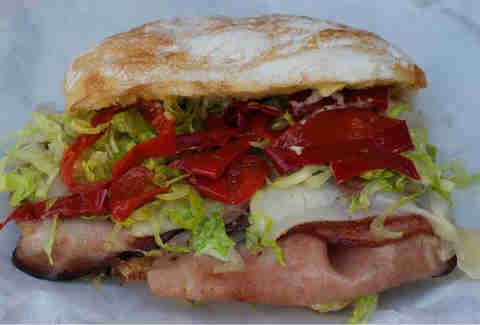 Go classic and order a Whiz Wit (a cheese-wiz & onions cheesesteak) or the the Roast Pork Italian, made with broccoli rabe, gravy, and provolone -- truly a sandwich worthy of a sultan. 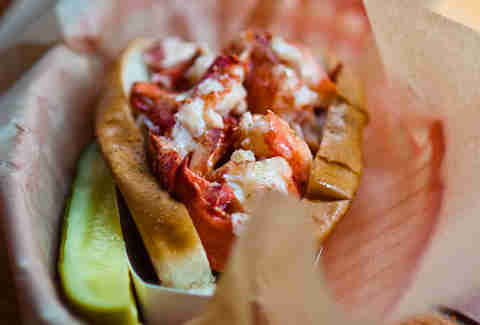 Unsatisfied with the questionable lobster bits swimming in mayo he found when he moved to New York, Luke of (duh) Luke's Lobster changed the crustacean game. All of these lobsters are sourced, packaged, and delivered from Maine under the supervision of Luke’s Lobster to get customers the freshest, most authentic sandwiches. 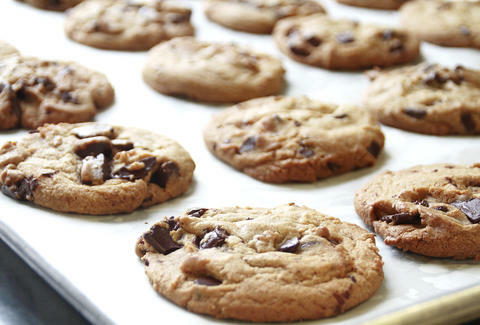 Enjoy them with extras like Cape Cod chips and clam chowder. Real New Yorkers don’t waste their time lining up for anything unless it’s worth it -- especially when it comes to bagels. 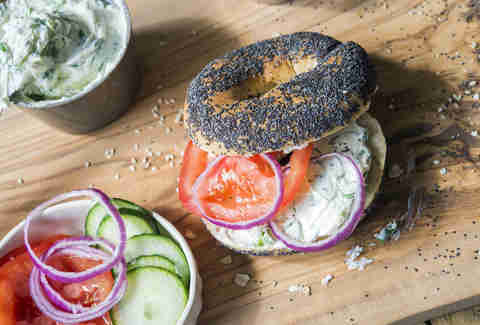 Hand-rolled and fresh out of a wood-fired oven, these old-fashioned bagels come in classic favorites like poppyseed and garlic. Top them with Black Seed’s handmade spreads like lox & dill, smoked bluefish, and even a tobiko caviar variety. 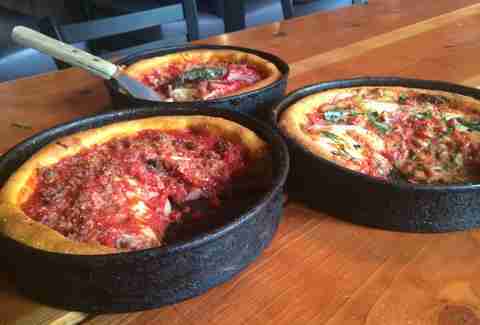 Whether or not Chicago is the ‘Pizza Capital of the World’, it’s clear that, all pizza politics aside, Gino’s East makes a mean Chicago Deep Dish. The recipe’s remained unchanged since its wildly popular inception in 1966, served in seasoned cast-iron skillets for that impeccable golden crust, and loaded with toppings. 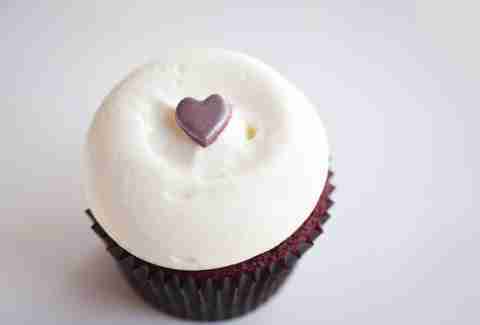 Though Georgetown Cupcake hasn’t been around for long, the “cupcakery” has firmly entrenched itself as royalty in the cupcake world. The founders of Georgetown are the stars of TLC’s DC Cupcake and crown their confections with their signature vanilla cream-cheese frosting. Fill up a pink box with selections like salted caramel, key lime, and lava fudge. And yes, of course they have red velvet. At Lardo’s, there’s no pretense. Yes, lardo is the fancy charcuterie name for fatback strips of pork cured with herbs and spices, but with gluttonous gravy soaked double burgers and equally drenched hand-cut fries on the menu -- there’s definitely another layer to the moniker. 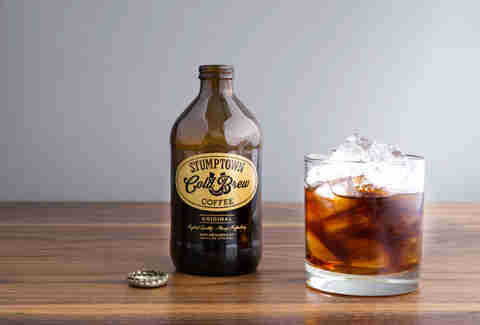 There’s a reason coworkers will trample each other to get to some Stumptown coldbrew in the office. Hailing from Portland where the imbibement of coffee is treated like a religious sacrament, Stumptown is responsibly sourced joe with beans carefully roasted to highlight particularities without meddling with the natural taste. 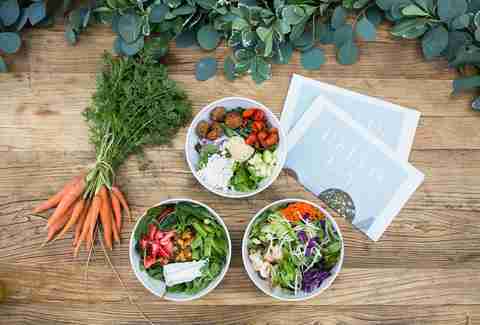 Established in DC in 2007 to counter the dearth of fast-casual lunch options in the area, Sweetgreen is basically that one health-conscious environmentalist friend who wants to help everyone make better choices without being annoying about it. All produce is locally sourced and prepared fresh in the kitchens, using in-season ingredients to create salad bowls like the ‘Avocabo’ and a seasonal offering called “Beets Don’t Kale My Vibe”, the latter a special partnership with Kendrick Lamar. If energy drinks taste like the terror of finals week, then Insomnia Cookies taste like the sweet nostalgia of Welcome Week. 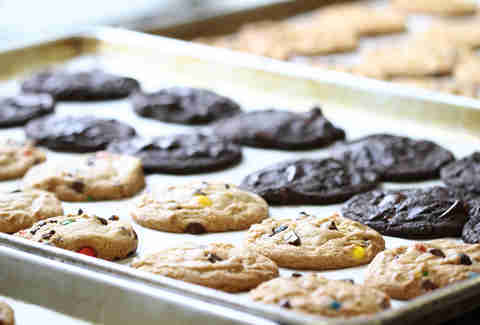 Thought up by a student in a UPenn dorm room in 2003, Insomnia Cookies now has locations across the country delivering warm, soft cookies like snickerdoodle and double chocolate chunk right to the front door. And brownies for the freaks who don’t like cookies.